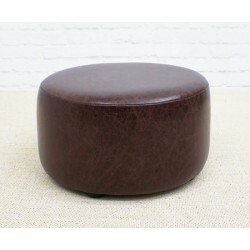 Leather footstools look, feel and smell like a quality piece of furniture. They can compliment other leathers and also many fabrics you might already have in your home. 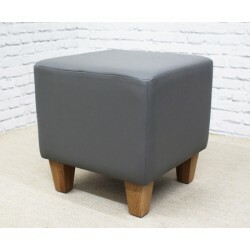 All our footstools are available in leather and we have a wide range of faux and real, textured, smooth and aged in colours from White to Black. 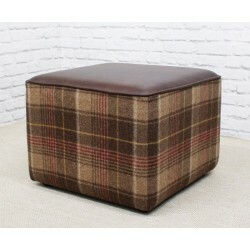 If you fancy a colour that we haven't got pictured let us know, there are hundreds of options available for your footstool, including brown, black and cream. 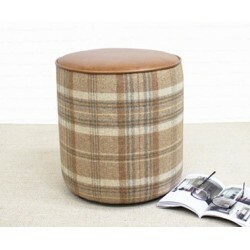 Please contact us and we can send you some lovely samples for you to look at in the comfort of your home. 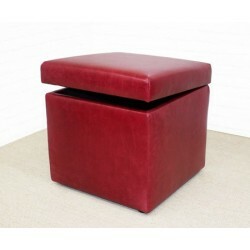 Leather footstools are a real statement piece and if looked after can last for many years to come. Leather is strong, hard-wearing and practical so might be a great choice for families with children or pets. 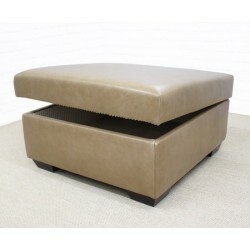 This type of footstool can withstand lots of bumps, bums sitting on it, legs relaxing on it, children jumping on it…and will still look stunning. 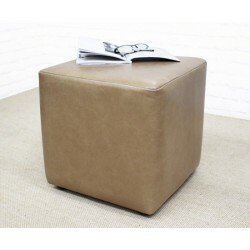 Our most popular footstools are the brown and black leather cube and drum stools, which make very useful extra seating for when people come to see you, or when you have a party. Our most popular leathers are traditional leather browns but Grey is very popular too. Our aged looking hides have a beautiful textured finish, and look fantastic against either wooden or chrome legs. 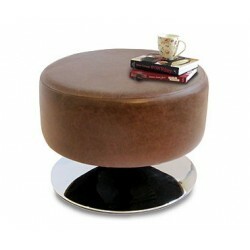 Circular leather footstools are available in a range of styles and sizes. Please view our range for more ideas, and if you would like a bespoke size or style please get in touch.